Outlook is not syncing emails after a recent update in Windows 10. An error message states – Problem connecting to Server. This is happening with only one account; other accounts are syncing emails. How to fix this issue? The network connection will be enabled now. Look for the email account settings, log on to the server to check if everything is working fine. After the process gets completed, you can also click on Change Account link, check the settings, followed by clicking Next button. Now Outlook will test the account settings, and provide a message when everything is fine. Once you get this message, click Close. Finally, click on Finish button. That’s it. Restart Microsoft Outlook and see if the issue has been solved. If required, you can also sync manually the first time using Send / Receive button. 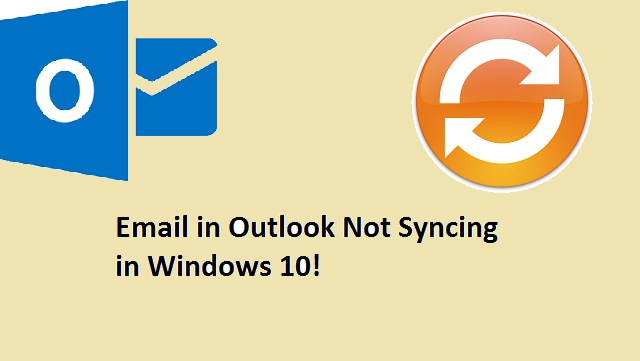 In case Outlook displays the message – Problem connecting to Server, then you might have to reconnect Outlook to Outlook.com in order to get uninterrupted email access. Psst: For any issues with Outlook, like inaccessible PST file, Outlook freezing, not opening, PST file corruption, and so on, you can use this Outlook Repair tool to fix all issues with Outlook PST file. This software fixes Outlook issues in a safe and easy manner. ‹ How to Fix Windows Movie Maker Black Screen?